87 Pristine Wooded Acres-Camp Simchah Middleton, MA Represented the Seller in the sale of this 87 acre parcel of land which was a former day camp. This river front wooded site was sold to a developer who will subdivide the land into house lots. The recorded sales price was $3,650,000. 58 Atlantic Avenue Marblehead, MA Represented the Seller in a sale of this office building to a law group. 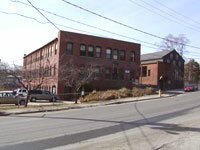 50 Grove Street Salem, MA Represented both parties in this sale of an industrial/office complex for $970,000. Leased a portion of the space to Alternative Therapy Group which established the first medical marijuana clinic in Massachusetts. 5 Huchison Drive Danvers, MA Represented the property owner in a long term lease to a physical therapy practice. 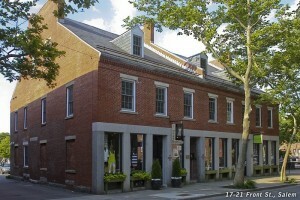 47 Congress Street Salem, MA Represented both parties to this long-term lease to a 12,000 s.f. , North Shore Community Health. 41 Sutton Street Lynn, MA Represented both parties in this sale of a vacant retail/warehouse to a bakery. The bakery operator will completely remodel the building for use as a wholesale and retail bakery. A portion of the building was leased to a noted Italian restaurant operator. 319 Highland Avenue Salem, MA Represented the buyer of this $1,200,000 development site and negotiated a long term lease for the Northshore Bank, which will have a drive-thru banking facility adjacent to this new Irving Gas Station and convenience store. In addition we found a new home for the previous owners, The Moose Family Centers who now have a newer modern facility on Grove Street in Salem. 299 Essex St. Salem, MA Represented both parties in the sale of this former hair salon to a developer who renovated the building. Represented the new owner in a long term lease to Bon Chon restaurant. 11 State Street Marblehead, MA Represented the landlord in this lease transaction to a financial planning company. 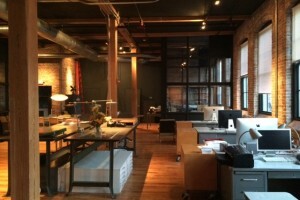 5 Higginson Square Salem, MA Leased this office space to a marketing firm moving from Boston. 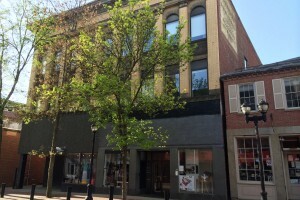 75 Washington Street Salem, MA Represented both parties in the sale of this landmark retail and office building located in downtown Salem. Sales price was $2,450,000. 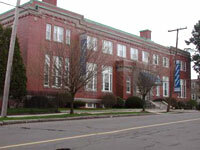 21 Front Street Salem, MA Represented Buyer in the sale of this 5,000 s.f. 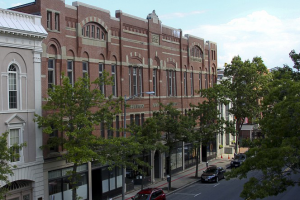 mixed-use historic building for $1,050,000. 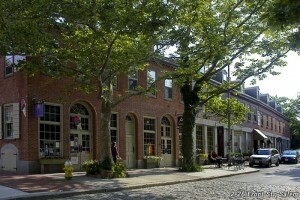 2-26 Front Street Salem, MA Buyer and Seller representation in this sale of a 20,000 s.f. retail/ office building for $1,386,000. 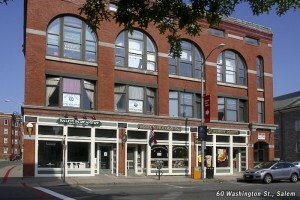 60 Washington Street Salem, MA Represented Buyer and Seller in the sale of this retail/office building for $1,250,000. Also represented the new owner in a long term lease transaction with Ben and Jerry’s as well as other office tenancies in the building.